Cilin model duhet të ndjekin serbët e Kosovës? Long-time journalist and vice-chairperson of the Press Council of Kosovo talks media and minorities. This article was originally produced for and published by Kosovo 2.0. It has been re-published ​here with permission. 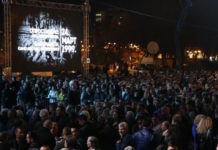 Anamari Repić returned to Kosovo to begin her career as a journalist in 2000, at a time when living in the country was not an option for the majority of Kosovo Serbs. When she came back, she took the first steps of her almost 20 year journalistic career with RTK, Kosovo’s Public Broadcaster, which she continues to be part of to this day. Born in Prizren, she and her family, left the city in June 1999, immediately after the war, alongside many other Kosovar Serbs. While her family started a new life in Serbia, Repić came to Prishtina to fulfill her long-lasting dream. During the ’90s and its Milošević-era propaganda, she was a loyal follower of various international media outlets, as she refused to only watch the news served by Serbian media, in which Milošević’s government exercised massive censorship. 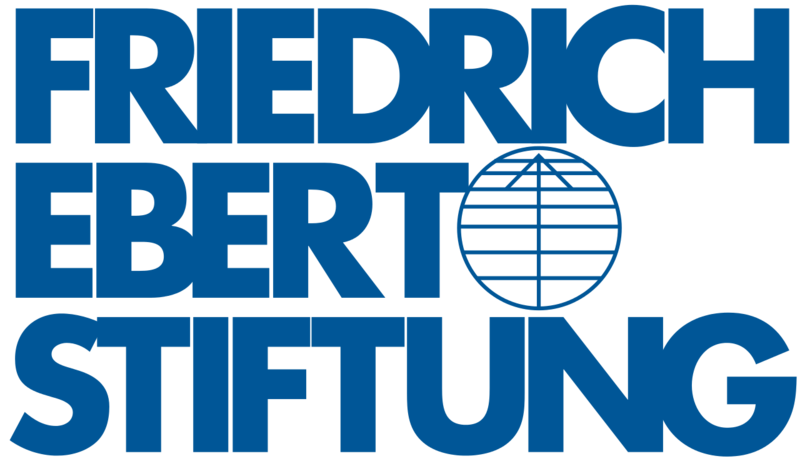 “I always loved journalism and have intensively followed independent media, Radio Free Europe and Voice of America in particular,” Repić says. 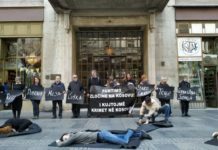 “I wanted to get correct information on what is happening around us, because I saw with my own eyes what is happening and what the Milošević regime is doing in Kosovo and in Serbia.” In ‘a twist of fate,’ as she describes it, she was offered a job at one of her favorite media outlets, Radio Free Europe, where she worked for 10 years in parallel to her work with RTK. She also held the position of deputy director of RTK until 2016, where she dealt specifically with minority programming development and communities outreach. In 2009, she hosted her own show, “Everything is Possible with Ana” (“Sve je moguće. Sa Anom”), which focussed on the lives of everyday Serbs in Kosovo and was broadcast on RTK in Kosovo and B92 in Serbia. Since 2008, she has also been vice-chairperson of the Press Council of Kosovo, a self-regulatory body dealing with journalistic ethics in the press and online media. K2.0 met with Repić to discuss what’s it like to be a member of an ethnic minority in Kosovo, media representation and what the media’s role is in bringing communities closer together. Anamarija Repić: This is important because I’m a conscious person and I watched with my own eyes what was happening around us. Of course I was able to discern things, as I was reading a lot, growing up in a family in which things were discussed, where opinions were exchanged, where debates and different discussions were held. And of course I was aware of what was and what wasn’t propaganda. Knowing what propaganda was, I wanted to hear the real information. We know that during the ’90s most people believed the propaganda, and we have a situation in which many continue believing it to this day. However, I believe that my obligation, now that I have gotten a chance to become a journalist, is to continue reporting truthfully, objectively, and professionally — while of course, always bearing in mind that the people I talk to will have certain political attitudes. The most important thing is to give the common people a voice, to those who live there and whom the political decisions concern. Everyone is interested in the lives of the common people, what they think about this and that kind of Kosovo, this and that kind of Serbia. I was always aware of that. It was pretty difficult back then. However, I had friends, among Albanians and Serbs. Very soon, I established professional relations with foreigners who led the then-existing Blue Sky Radio, where I was taught journalism. There were professionals from France, Switzerland, and other countries. Yes, it was difficult. You had to take care of yourself, be careful about where you go… Simply, those were truly hard times for Serbs, especially in Prishtina. But I managed to get over it somehow, to live and work there. So I believe that, thanks to my professionalism, I somehow earned the trust of an inner, and later an outer circle of people. Because I wasn’t here to spread propaganda — I came to live and work here, and for me this was an opportunity to do something different in my life. We left Prizren, but I came here to build my career. You have been working at RTK for a long time now. With RTK2 broadcasting in the Serbian language, do you think that the public broadcaster achieved its aim of reaching the ears of Kosovar Serbs? Or did the divisions of the public broadcasting channels into separate languages play a role in the further fragmentation of voices? RTK2 is a channel that represents a public space in which Serbs create their own television, programming that’s relevant to this community, with the intention to open up debates that are lacking in the community: To build a space where they will have many more opportunities to speak about the issues they hold important, about problems, interests, [to provide] opportunities to discuss their future. This is the idea. The RTK2 channel has programs in other languages as well, including Bosnian, Turkish, and Montenegrin, and we plan to further develop our programs. However, where the Serbian or Albanian language programs are concerned, we are also obliged to report on the lives of other communities. I believe that RTK2 programs in all languages have a variety of stories within them, especially in the field reports from journalists. Let’s see those who succeeded, what constitutes a success for minorities in Kosovo. What does success look like if you belong to a minority community? For example, my Albanian friends sometimes tell me they watched me on the morning program of RTK2, or that they have seen my story on RTK2 News. This means that people follow this program, watch it. Some [of the RTK2 audience] also follow when I report for RTK1. Of course it is needed, not only on RTK2, but for all media in Kosovo to report more on the lives of all the communities. The media that report in Albanian should also report on how Serbs, Roma, Bosniaks live daily. [This coverage is needed] so not to have surprises — that we can’t realize how some problem popped up and not know where it came from. 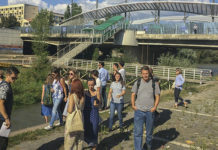 The Mitrovica bridge should not be the only thing written about, but to see how everyday people live, in terms of living conditions on the Albanian and Serbian sides. This is the idea behind RTK2. Creating a public space that will primarily serve Kosovo Serbs, but not only them. This is the space where, in the Serbian language, different problems are discussed, not only the problems of Serbs, and I believe that this is a mission we are completing, slowly and gradually. Are there any statistics that reveals if Kosovar Serbs indeed watch RTK2? As it is often presumed that the majority are informed by the media in Serbia. 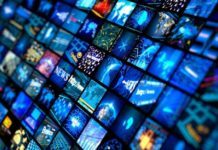 Well, you know what… of course there is research that says that Serbs prefer TV from Serbia, like RTS [Radio Television Serbia] or other channels that are attractive, especially Pink that offers entertainment. However, I still believe that there are data that show that Kosovo Serbs watch RTK2, even though there are technical issues surrounding access in some areas, since there are no transmitters in place. It is very important that Serbian language programs, and programs in other languages shown on RTK1, are not competition for other TV stations, but are there to tell the story of people living here, stories that might not be offered by other companies. On RTS you won’t find 24-hour coverage of daily life in Kosovo. It is important for people to recognize a journalist working in the field here — in Prizren or Shterpce for example — for people to tell them, ‘oh, you are the guys from TV.’ And this is happening. People watch, recognize crews, and want to give statements, and this is very important. This means they want their voices, stories, problems, to be broadcasted on RTK2, and RTK in general. They know they will get some stories about Serbs’ lives in Kosovo [on other stations], but not a 24-hour schedule. This is the value of this TV channel. I think that more should be done on bringing our programming closer to the citizens, for citizens to participate in different content, because this is a young and new TV channel. What about other Kosovar mainstream media? Do you think that they have good coverage and give a fair portrayal of minorities in Kosovo, be it Serb or any other? I definitely believe that greater space should be made for all the communities in all media in Kosovo. It is very important to report on how minorities live, whichever group is in question, in this case ethnic groups. It is very important. These communities share the same problems as the majority: unemployment, the roads, schools, heating… This is why it’s very important to report on these and make them feel not excluded, and part of society. In this way, they will start thinking about their future here, about going to school here, getting a job, starting families, planning lives, and contributing to the society as Serbs, Bosniaks, Roma… For them to be part of initiatives, movements, civil society. I believe that reporting on this is sufficient, but… I don’t know how to put it… perhaps the Albanian language media think that reporting on problems such as corruption and so forth, that these issues also affect minorities. Alright, but let’s see as many reports on Roma people in Kosovo as possible, about Gorani — let’s see what they hope for. We know which problems we have, but I believe it is time to find positive examples, to see what it is that gives us hope. This is something that should be reported on more. We know very well what the Serbs’ problems are, that there are many Internationally Displaced Persons (IDPs), but let’s see how those who returned to Kosovo feel, and those who live here. Let’s see those who succeeded, what constitutes a success for minorities in Kosovo. I think that this is something that should be accentuated now. What does success look like if you belong to a minority community? Of course, political events are distracting attention away from these topics. Somewhere along the way we forget about the people who are there, who live there, who are lost somewhere among all these processes. Let’s report on these together and make some kind of path, help them think about their way to becoming active participants in society. You mentioned IDPs. Two years ago, K2.0 did research on Kosovar Serbs that left the country after the war with the focus on those with IDP status. Frequently the interviewees would suggest that their fear of returning to Kosovo came as a result of watching media outlets in Serbia, which is still very problematic when it comes to the representation of Albanians. We all know what the media in Serbia are doing right now. While on one side the official politics of Belgrade is seeking solutions on how to regulate relations with Kosovo, on the other side there is the media, tabloids of course, which spread immeasurable hatred, ethnic hatred. And where ethnic hatred is concerned, we know who is the most frequent target of attacks: Albanians, Bosniaks, Croats, and so forth. 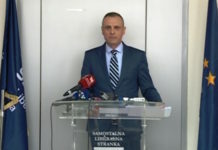 Now we have these two situations: Official politics that advocates for the normalization of relations achieved by the Brussels Agreement signed with Prishtina — the judiciary has been integrated, Serbian institutions in Kosovo have been abolished, or are being abolished gradually, talks on the [Association of Serb Majority Municipalities] are being held — and on the other hand, we again have these extreme media that spread hatred. Who will these displaced Serbs listen to? Someone needs to be educated to differentiate what a lie is in the media — what is propaganda, what is media spin. Do displaced persons have the time to think about whether one or the other media are right? Well, no, they don’t. This is why I think that, no matter the media situation in Serbia, it is still an obligation of Prishtina and Belgrade to help those people, either to return to Kosovo or to integrate into the place they live in if they don’t want to return, or can’t do so. But if they do want to return, then it really is time to provide them with a roof over their heads, a job, and of course opportunities for their kids. Democracy is when minorities have the same rights as the majority. That’s democracy. This is why I’m saying that it is time for us to talk about the hopes and possibilities of those who live here and what keeps them here — how they can organize their lives here and now. The public broadcasting service in Serbian and other Serbian media, as well as institutions and the international community have to help those people to find their place here, to find a future here. In order to come to a decision to stay here, the majority also has to lend a hand and send a signal that they too can be part of this society. So that every day, after four, when working hours are over and you go home to Gračanica, your contact with your Albanian colleagues doesn’t end there, but that you can continue having cultural and social connections. That those relations don’t halt when your office hours are done. There needs to be a decision made by all to work on having more social connections, in addition to political ones. As I see it, it is time for social connections. But in order to be able to come to this, there have to be political decisions. Decisions that will have an influence on people, to help them continue their lives. This also applies to displaced persons. So, if we really want it, then everybody must be included in their return. If they can’t return to Prishtina, oh well, let them come to Gračanica, where they want to return — where they can, where there is work, where there are schools. This is the most important thing. I think this is a big process and perhaps experience should be sought abroad, in countries that had similar problems with displaced persons. In most parts of Kosovo, communities live segregated from each other. 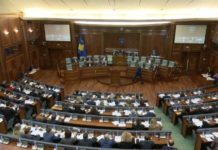 What kind of policies need to be enacted in order to contribute to more socializing between Kosovar Albanians and Serbs? How can we make that socializing happen after four o’clock, as you said? Honestly, this should primarily concern the creation of different opportunities. Let’s say that members of minorities become equal in the distribution of jobs, in socio-political events, decision-making processes. That it simply becomes normal if someone wants to apply for a job — that they don’t have to be a Serb or an Albanian, but just be able to do the job. That no one feels that when the six, nine, or 10 percent quota are met, that everything is over at that point. 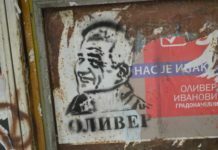 Serbs often say: ‘Oh, well, there are no Serbian language faculties in Prishtina, no schools, no nothing, how are we supposed to establish a family there? But only 15 minutes away we have Gračanica, where people live better because there’s a school there.’ Decisions should be made for people to stop thinking like that, in a way that someone is a Serb or an Albanian. Also, when you live in an environment, I believe it is important to know the languages. Languages is literally a technical obstacle. What else? Reconciliation has to happen. Now, when reconciliation is talked about, there is more focus on the Belgrade-Prishtina relationship. However, I believe that Serbs living in Kosovo must also talk about reconciliation with Serbs. This is the key issue — how reconciliation will be discussed. Why is it important to discuss what happened? Merely to accept the facts, those that exist: People were killed and went missing, families are seeking their loved ones, homes were burned down, people expelled. Some returned, while others cannot come back. Let’s speak about those facts and simply accept the pain of the other side. If politicians can’t do it, it is possible for civil society to do it. The key is for the majority to be the one to initiate these things. Because they are the majority. The majority is the one that has to enable minorities to live better, more normally. Because this is what democracy constitutes. Democracy is when minorities have the same rights as the majority. That’s democracy. But it is very challenging to defy already rooted views of what happened during the ’90s in Kosovo, during the war and then after it. Particularly with the existing history books used in educational systems in Kosovo and Serbia..
History is the key question dealt with in post-conflict areas. Somehow this has been an issue which has been stalled on, left for the end. 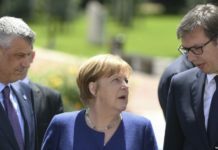 I believe that the Balkans can look up to Germany or France in this regard. There are certain initiatives for transferring the experience after World War II and to analyze the way in which they solved the issue of learning history in a way to contribute to reconciliation, better relations, and normalization over time. However, the process of changing the curriculum probably takes a lot of time. This is why I say that first political decisions need to be taken. Do we want this reconciliation to happen? 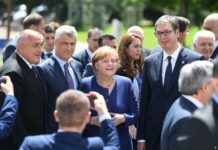 President Vučić recently said that historic reconciliation has to happen between the two peoples, Serbs and Albanians. In Kosovo, there is a situation in which president Thaçi formed the Reconciliation Committee. This means that something is done in the field of normalizing relations. It is probably necessary to make some political decision that will become the law, a legally binding document, and after that all institutions will follow it. A greater decision needs to be made and enter into force. I think that a long time ago this was mandatory. In elementary school, I studied Albanian, and knew it well back then. However, when the ’90s arrived, Serbs learning Albanian was abolished. I have always had this passive knowledge. I had it in my head, understood some things, but couldn’t speak or use what I knew. In 2000, when I started working as a journalist, I learned the language on my own, from books, dictionaries, newspapers. I need to know what is going on around me. I want to know how to communicate with my friends and colleagues in Albanian. I cannot spend my entire life with them only speaking in Serbian with me. And, of course, I want to be more informed and to be able to speak another language — you are worth more and are more respectful of other people. You learn a whole new other culture by speaking the language. You come to realize some things in life when you acquaint yourself with this, you realize who we are, what we are. I don’t think we should look at it as an obligation, but a possibility — as something that will make us richer. Serbian and Albanian are official languages, and everybody has to know them. Practically speaking, there [should] exist an opportunity in an elementary school in a Serbian area to learn Albanian. I really can’t believe that nobody would enroll for studying Albanian. Because in everyday life, on every level, one sees that this is really necessary — from sitting in coffee shops, restaurants, going shopping, communicating with friends, colleagues, neighbors, to offering an opinion in a public space in Albanian or Serbian. So this should serve as a means of self-improvement, but also to show respect to others. To show people, Albanians and Serbs alike, that knowing a language is a wealth, not a problem. A language should not be treated as a political, but a social issue. Because, you cannot spend your entire life only knowing one language. You then remain poor, limited, ignorant of other cultures, you won’t learn anything new. Especially if you live in an environment which is multiethnic, where Turkish is spoken, or Romani, and so forth, where you will work and live with different peoples, with different language communities. This is why I think it is very important to make a decision to offer schools, cities, villages, a possibility of studying a language of the other, since it is important. Students at the Religious School in Prizren, those who study to become priests, now learn Albanian too. This means they have realized how important that is. We’re talking about the Orthodox Christian Religious School in Prizren, a city where there are no Serbs, priests live with Albanians and to them it is very important to know the language. To tell somebody ‘Mirëdita’, ‘Mirëmengjes,’ ‘Ditën e mirë.’ They want to know this first, and then of course the rest, and be able to express themselves if a religious debate is to take place, to be able to exchange opinions, and not be blocked by a lack of language. I also hear that many municipal officials are also learning languages. This is very important, the first contact with citizens. Serbian and Albanian are official languages, and everybody has to know them. Your Albanian is fluent and I know that makes many people that know you look at you as somebody very well integrated into Kosovar society. How do you perceive that? First of all, I don’t think that I am some extraordinarily specific person, but a normal person who knows where she is living, no matter the political circumstances around me, or that people have different political attitudes. I want to be part of the society I live in. I have friends around me, no matter who they are, and I want my colleagues to think about me as a fellow colleague, not a Serbian woman. Or the other way around, for me not to see somebody as an Albanian. I want us to see each other as professionals, colleagues. And of course, as friends. I have many non-Serbian friends, and this is normal to me. I don’t see it as something fantastic or extraordinary, but a normal situation. Maybe this is because I grew up in Prizren which was a multiethnic city, and that cultural mix happened in the right moment of my life, in childhood, and continued through my youth. But it is also the fact that I had an open mind, against repression of any kind, and that I saw and realized what was going on in the ’90s. This affected me. Autorët e këtij uebsajti nuk duan të censurojnë përmbajtjen e blogjeve meqë kjo është në kundërshtim me parimin e lirisë së shprehjes. Në këtë uebsajt dëshirojmë të zhvillohet dialog konstruktiv dhe kreativ. Kjo nuk do të thotë që pikëpamjet tuaja nuk bën të jenë kontraverze por do të dëshironim që ato t’i shprehni duke përdorur gjuhë të arsyeshme, jo-fyese dhe plot respekt. Ju lutemi mos botoni fjalë urrejtjeje. Kjo nënkupton gjuhën përmbajtja e së cilës nxitë urrejtje, dhunë apo diskriminim të individëve të tjerë bazuar në përkatësinë e tyre etnike, fenë, racën, gjininë, moshën apo orientimin seksual (Konventa ndërkombëtare për të drejtat Civile dhe politike, Blogger.com) Blogjet nuk bën të nxisin veprimtari të jashtëligjshme. Çdo përmbajtje të cilën e vlerësojmë se është në kundërshtim me këtë do të hiqet nga uebsajti por nuk do të shkatërrohet.